Far Cry 4 Gamepack is now avaliable! 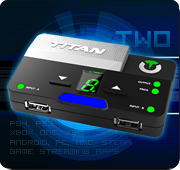 Far Cry 4 Gamepack is now available on Gtuner PRO for all Titan One owners! The Far Cry 4 Gamepack will be your best allied to explore Kyrat, a vast open world where danger and unpredictability lurk around every corner. Grand Theft Auto 5 Gamepack! The Grand Theft Auto 5 GamePack for Titan One features Auto Aim, Auto Arm Wrestling, Auto Jog and Sprint, Turbo Melee, Rapidfire, Secondary Rapidfire and Anti-Recoil. 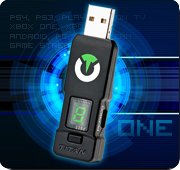 Titan One owners can now enjoy WarFrame Gamepack. Featuring rapidfire with special modifiers for WarFrame, secondary rapidfire, anti-recoil, turbo melee and more.